Service is endless…if you have a need, we have a fix! 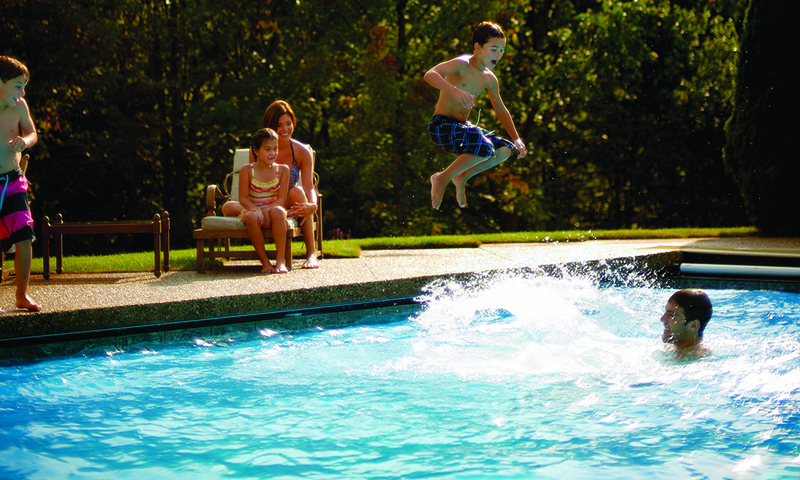 Family Pools has six full-time service crews! 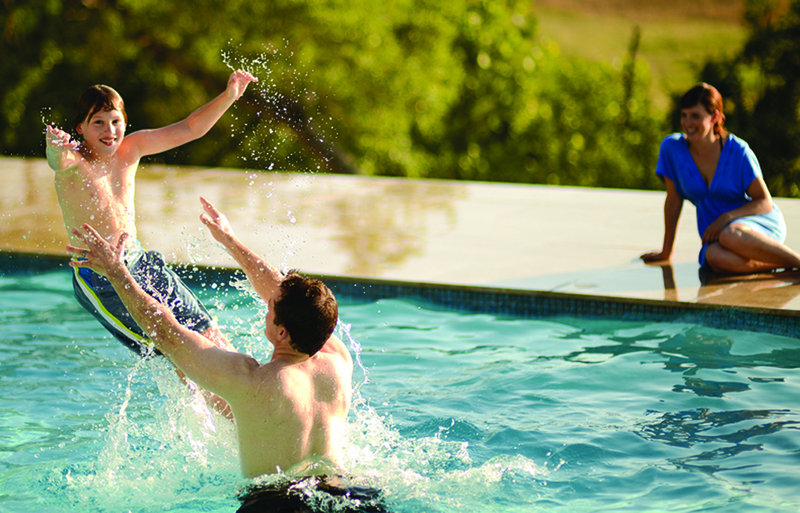 Service is at the heart of Family Pools, it’s how we started and we take it very seriously. Our amazing Service Department handles everything from pool openings and closings to plumbing repairs, hanging liners, air in the filtration system, DE coming into the pool…you name it! We’ve even rescued diamond rings from main drain lines and once, we rescued a lady trapped in her pool when the ladder broke and she couldn’t get out! It was our original plan to only service pools— we had no retail store, no construction department and certainly not 5 warehouses full of parts & supplies! We were working out of our home garage with a couple of pickup trucks, some knowledge from previous jobs and some skillful hands. Then, one momentous day a very happy service customer begged us to install a pool at a new location. 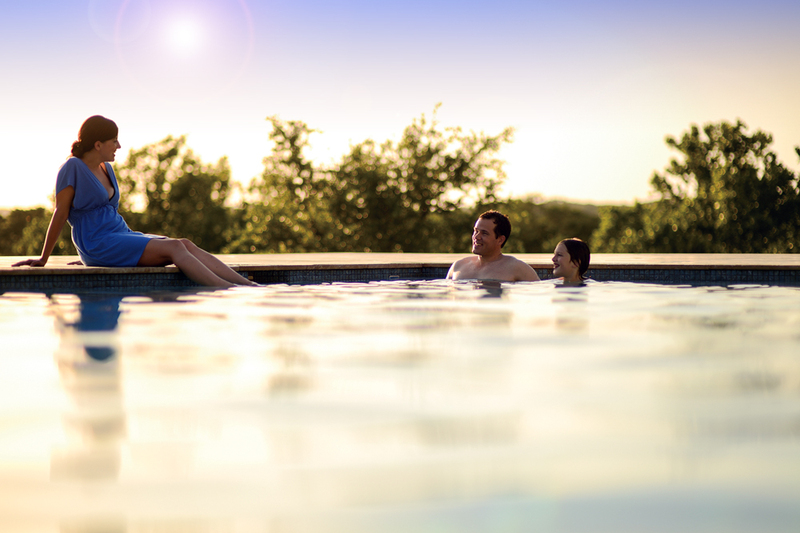 We declined, stating “we’re just a service company.” Obviously, persistence paid off and the creation of our Construction Department originated…so began the next thirty years of Family Pools. With Service still at the forefront, we would like to acknowledge Dave Fairburn as Chief of our Service Department. We can’t tell you how fortunate we are to have had Dave almost from the get-go! Dave is true “Family”. His expertise in pool systems and ability to trouble-shoot “anything pool” has earned him unchallenged respect in the industry. With Will at his side, these two key players keep our Service Department functioning at a level that defies any reasonable expectation. Will, who manages the Service Department alongside Dave, most definitely has a secret superhero identity that he’s keeping hidden. There is no other explanation for how he can accomplish the daily onslaught of work that he does. If you get his voicemail when you call, don’t despair…he is simply saving the world—or helping another customer (same thing isn’t it?). Feel confident that when he returns your call (and he will), he will give you the same level of expertise and attention that has become his signature trait. Quite often, he will troubleshoot your problem over the phone, saving you time and money. That alone makes him a Superhero! Since our Service Department handles an overwhelming amount of requests every day, we are sometimes unable to personally answer your incoming call. For this reason, we schedule and confirm service calls by email as an added service. This reduces our time on the phone, thereby, freeing us to respond to your questions quicker. If we don’t have an updated email address, please send us one by clicking the link below. Email is not a requirement; simply, as we stated, an added service. To reach our resident Superhero, Will, call 978-688-8307, ext 14 or email him at the link below. Please indicate the service that you are requesting and a brief description of what’s happening. If you have no idea, just yell HELP! Also, let us know some date(s) and time(s) you prefer to receive a service call. It is important to size your equipment properly for your pool. Some might feel the urge to oversize and cost themselves oodles in energy costs with no great performance value. Others may try to budget, costing themselves more time in maintenance due to undersized equipment. Let our experience and education help you make the right choices. We’re happy to consult with you on which products would be best suited for your needs. Please complete our Equipment Form so we are familiar with what you currently have and your particular pool preferences. This helps us to maintain the right level of inventory. It also keeps us informed in the event you stop by the store for parts one day or you request a service call…we’ll know what we need! Ask us about today’s more energy efficient pumps as well! We’ve seen it all…and we can fix it! By the way, don’t be afraid to tell us you did something silly like put your car in reverse instead of drive and ended up in the drink! Oh, and when you change the oil in your car and use your old chemical containers to put the oil in (not recommended), remember to dispose of it properly…don’t pour it in the pool! Oh noooo…that hasn’t happened…not just once anyway!